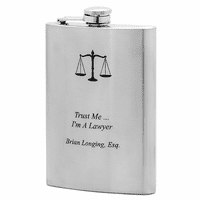 Looking for a gift for the lawyer who has everything? Well how about this legal theme business card case & pen gift set. 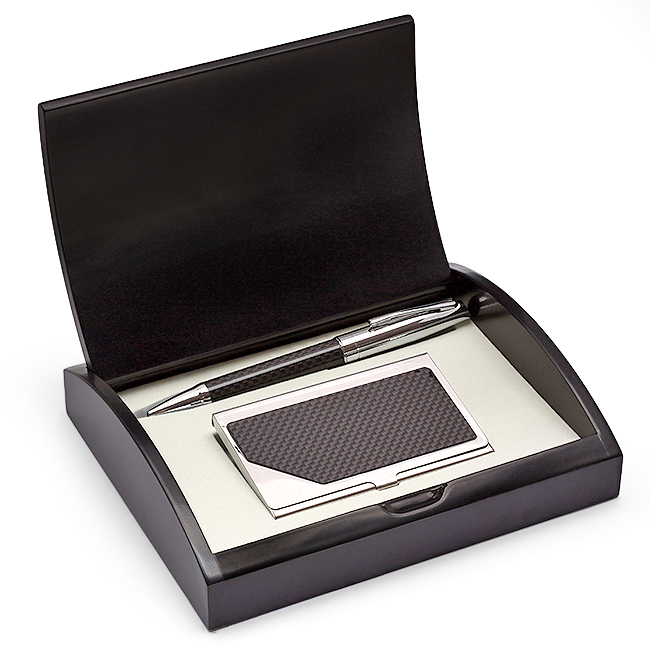 Great for paralegals and judges too, it features a carbon fiber and polished steel ballpoint pen and card case. 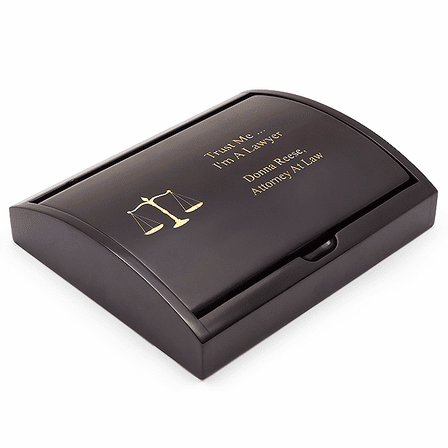 They come in a black coated wooden gift box that we laser engrave with a Scales of Justice symbol. 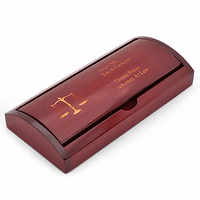 To the right of this legal symbol, you can add your own custom engraved message. 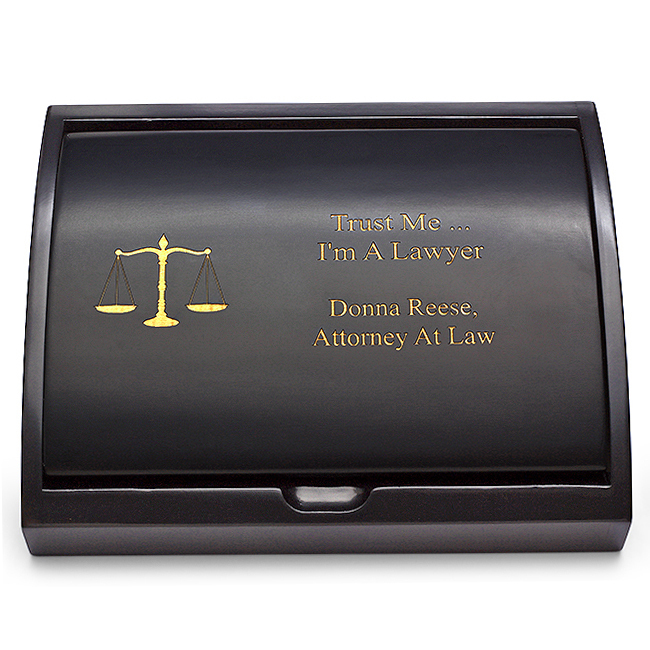 Popular choices include a name and job title, name and company or a humorous message like we show in our sample picture. 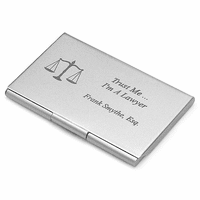 I bought this as a birthday gift for my nephew. 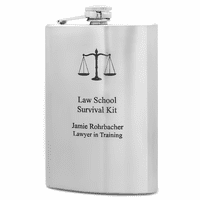 He is finishing his last year of law school. The leather is beautiful and he is thrilled! Great service.